Low-cost carrier Jetstar will open two new international routes from the Gold Coast when it starts flights from the Queensland tourist hotspot to Wellington and Queenstown from December. The Qantas subsidiary says it will fly three times a week to both the New Zealand capital and Queenstown from the Gold Coast using 180-seat Airbus A320 aircraft. The flights mark a return to the Queenstown-Gold Coast route for Jetstar, which last flew the city pair between December 2010 and November 2011. Meanwhile, new flights to the Gold Coast will be Jetstar’s first international service from Wellington. Jetstar head of New Zealand Grant Kerr said the new routes would promote tourism on both sides of the Tasman. “We’re confident that the addition of the Gold Coast-Queenstown route to our network will further boost tourism growth to New Zealand and have wide appeal to Queenslanders wanting to visit the world’s adventure capital,” Kerr said in a statement on Tuesday. 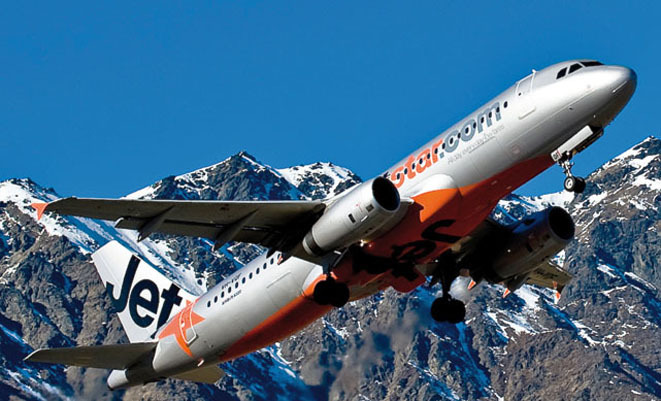 Once the new flights start, Jetstar will have 10 trans-Tasman flights a week between Queenstown and Australia. Queenstown Airport chief executive Scott Paterson expressed confidence the new route would be a success. “Based on the double-digit passenger growth we’ve seen on our trans-Tasman routes in the past few years, we know that the Queenstown Lakes region is a very desirable destination for Australians,” Paterson said in a statement. Special launch fares start at $99 for Wellington-Gold Coast, with the first flight scheduled for December 12. Sale fares begin at $129 for Queenstown-Gold Coast, which has its debut flight on December 13. The sale ends at midnight September 9. Checked fares on Jetstar’s website. No mention of $99 fares to Wellington today so where have they gone. Nice to see. I hope they keep expanding from Coolie. Sad though that the news of a new route comes via the media first and not from QFF or Club JQ or whatever I am signed up for to get the latest news first??? Would love Gold Coast to Palmerston North flights but guess GC to Wgt is next best thing. Like you Kevin I also check yesterday and did not see any $99 flights, should not advertise unless you are able to supply. Like you DB I was told by my sister in NZ who read it in the paper. 5 or so years ago JQ did OOL/ZQN twice a week on Mon & Fri in winter & it was a financial disaster. They should be flying BNE/ZQN. NZ/VA has virtually monopoly BNE/ZQN. Up to 10 a week, whereas QF does 1 a week for winter only.